Features: Fiery and utterly lovely! 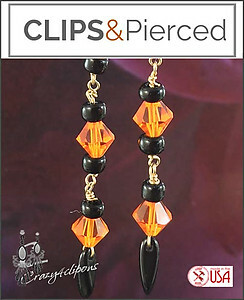 A row of beautiful sun-orange Swarovski crystals, paired with glass beads and hand wrapped in Gold Plated wire. & Ready Autumn & Thanksgiving seasons.